Europe and the world: a symphony of cultures is our first major music festival. Over two weeks (16 to 29 April), the festival celebrates and questions Europe’s cultural interactions with the world, through a diverse range of music performances and in a series of panel discussions. Artistic Director Daniel Kühnel brings together diverse musical traditions in the extraordinary setting of the galleries through a bold and dynamic programme. ‘Europe and the world’ hopes to encourage listening – to others, to ourselves and to the great symphony of cultures represented by the British Museum. These performances will look at the role of Europe, and its relationship with the world. The universality of music reveals connections between cultures across the globe and allows us to explore our shared humanity through the British Museum’s collection. The Quartetto di Cremona will play music of Osvaldo Golijov with clarinettist David Orlowsky. Photo: Elisa Caldana. The festival presents a huge variety of musical experiences. You will be able to encounter works by 20th-century composers such as Richard Strauss, Luciano Berio, Karlheinz Stockhausen, John Cage, György Ligeti, Olivier Messiaen and Luigi Nono that pushed European music in new directions by connecting with other cultures. These will be complemented by performances devoted to historic musical traditions from different parts of the world, including classical music from India, Spanish colonial and flamenco music, spiritual Japanese music that originated in the 7th century, and Byzantine liturgical choral music. The Reigakusha Ensemble play orchestral music that originated in 7th-century Japan. 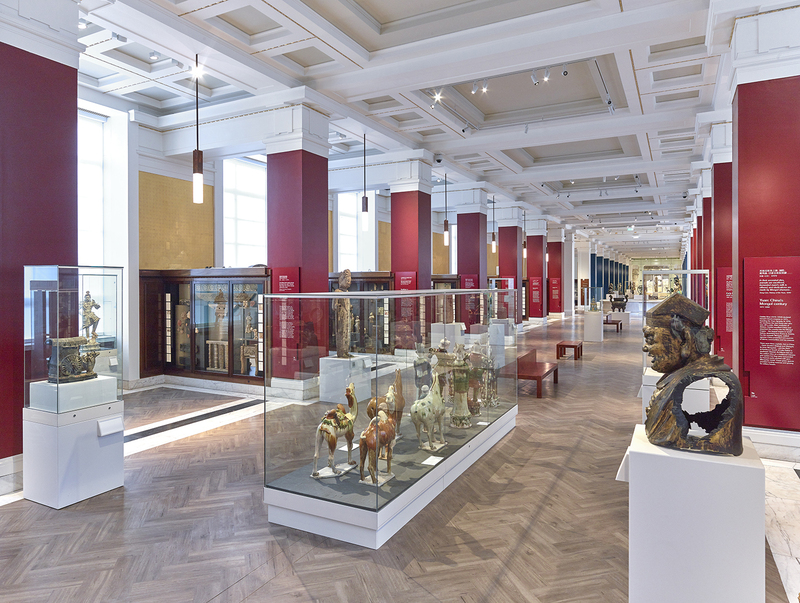 The world collection of the British Museum provide extraordinary opportunities for musical performance. Here the material inheritance of the world’s cultures is stored and deciphered, and we are invited to interpret the ways that regions and peoples assert their identities – an endless and urgent task. We can use music and performance to tell stories, look at new ideas in a historic setting and illuminate encounters between cultures. The diverse programme draws attention to ways in which European culture is interconnected with other international traditions. By placing musical performances in gallery environments, visitors can perceive synergies between cultures and across centuries, creating living encounters and echoes of the past. The Sir Joseph Hotung Gallery of China and South Asia is just one of the locations of the performances. The festival is part of the German Foreign Office’s engagement to deepen the British-German cultural cooperation, and to foster greater cooperation among our countries, institutions and partners abroad. In a global political landscape, it is important to facilitate access to culture and to champion European cooperation through museums as diplomats of the 21st century, such as the British Museum and the Staatliche Kunstsammlungen Dresden. The performances will be accompanied by a series of panel discussions that will explore the role of museums in complex political times, as places to listen, to debate and to experience music. You can see the whole programme here, and book tickets online. This festival is organised by the British Museum and the Staatliche Kunstsammlungen Dresden and made possible by the Federal Foreign Office of the Federal Republic of Germany.